It is clearly not possible to treat congenital abnormalities of the nail, but avoiding exposure to trauma may help. Nail changes associated with dermatological conditions may improve as the skin elsewhere is treated. 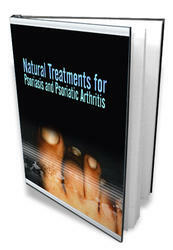 Systemic treatment of associated dermatoses will of course tend to improve the nail as well, for example methotrexate or retinoids for psoriasis. Infective lesions respond to antifungal or antibiotic treatment. In chronic paronychia there is often a mixed infection and a systemic antibiotic combined with topical nystatin may be required. It is also important to keep the hands as dry as possible. The imidazole antifungal drugs are fairly effective but are fungistatic. Terbinaline is fungicidal and a short course is as effective as prolonged treatment with the older drug griseofulvin.